Sent: LOR, SASE, 4x6 photo, $20 (that's what he charges) Address: 5419 Hollywood Blvd. 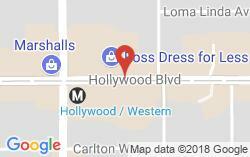 #C-202 Hollywood, CA 90027 Dates: Sent: 4/11/16 Received: 5/3/11 What I received:My 4x6 signed (on the back), a 8x10 photo signed, which he provided, and a Fox and the Hound key chain, all in an envelope that he provided! What a nice guy!